Inspiring Ipswich is our plan for a revitalised Ipswich deanery led by strong and energised ministry teams that communicate good news and grow new disciples. We want to look outwards to the people who are not currently part of the Church and look beyond parochial boundaries to what can be achieved for Ipswich, working supportively and collaboratively with each other and living creatively and confidently with change. As a deanery we will continue to be inspirational, missional, relational and pastoral. "Inspiring Ipswich is about developing ways of engaging with those in Ipswich who have no previous experience of Christian faith, as well as reinvigorating Christian communities facing tough challenges. It is already producing fruit in terms of creativity and collaboration, and gaining momentum and energy - please pray for God's continued blessing on this dimension of Growing in God" Bishop Mike. Our work is guided by the Growing in God vision of ‘flourishing congregations making a difference’ and has ambitious aims. Through Inspiring Ipswich by 2025 we believe God is leading us to make 1,500 new Christian disciples in Ipswich (1% of the deanery population). Make contact with 15,000 people currently outside the Church through Church-led community engagement, such as town pastors, winter night shelter, care home visiting, food banks, and mentoring schemes with young people. Engage 7,500 people in exploring faith. Double the existing number of worshipping communities from 25 to over 50, through a combination of church planting, fresh expressions of Church and new congregations. A new Archdeacon of Ipswich, The Revd Rhiannon King, has been appointed to lead Inspiring Ipswich. She will provide missional leadership and lead the team of clergy to deliver a deanery-wide strategy and plan. Please see the news release here. The priority for 2019 and 2020 is strengthening parishes so that all can engage with the Inspiring Ipswich aims to grow the Church and its impact within Ipswich. Each parish has been asked to join a two-year Parish Development Learning Community with missional support for each parish team. This is an opportunity for church leadership teams to work alongside other churches to learn from others, develop strategies for growth, create action plans and review progress. Growth will be supported by expertise in evangelism, community engagement, fresh expressions of Church, church planting, and communications. To start this process all parishes have been invited to Learning Community Foundation days led by Bishop Mike Harrison on Saturday 23 March and Saturday 6 April 2019. 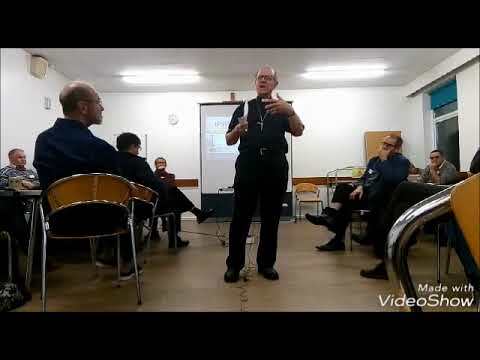 “As we look to build and maintain the momentum of ‘Inspiring Ipswich’ the Deanery are being called to see where God is at work in our parishes and then join in with his mission. It has been said that the church in mission is the church for others and this is so true as we seek to make disciples for Christ" Revd Canon Nick Atkins, Ipswich Area Dean.